dock10, the UK's leading television facility, has today announced that it is to invest £5 million in new technology over the next 12 months. This will see dock10 make significant upgrades to The Studios, Post Production, media storage platforms and the network that supports MediaCityUK. New equipment in The Studios will include cameras, vision mixers, multi-viewer monitors and core routers. It will also incorporate the next generation of AR/VR technology, enabling content creators to explore exciting new possibilities in programme making. In Post Production, dock10 will expand its Flame and Baselight capability and 4K monitoring to meet the growing international demand for UHD content. As a specialist in audio services, extra dubbing suite capacity is being added to provide customers with even more flexibility. 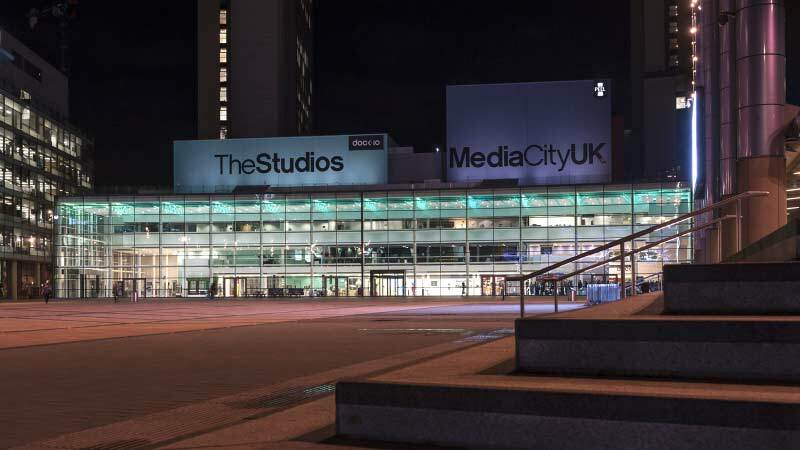 dock10 also manages the high-speed cross-site fibre network at MediaCityUK that provides broadcasters and production companies with the exceptional connectivity needed for transferring high-quality video. This network infrastructure will be replaced to ensure that it is ready to meet the increased demands of the future. Mark Senior, CEO at dock10, said: "This announcement reinforces dock10’s ongoing commitment to continually invest in the UK’s very best studios and post production facilities. We want to help content creators make the most of UHD and to explore new technology like AR/VR. These upgrades will give our customers the creative edge in a fast moving and competitive market. It is seven years since we opened dock10, and in that time the business has grown into a thriving creative community. This £5 million investment will enable broadcasters and production companies to make the most of the talent and resources that this fantastic regional cluster has to offer, maintaining dock10’s reputation as the UK’s leading television facility."